G Riku Helenius (Seattle, 2007-08) has been released by Jokerit Helsinki (Finland, KHL). He had one year left on his contract. Last season, in 20 games, he was 2.66 and.902. . . .
F Michal Řepík (Vancouver, 2005-08) signed a one-year contract with Fribourg-Gottéron (Switzerland, NL A). Last season, with Traktor Chelyabinsk (Russia, KHL), he was pointless in two games, and he had seven goals and nine assists in 22 games with Sparta Prague (Czech Republic, Extraliga). 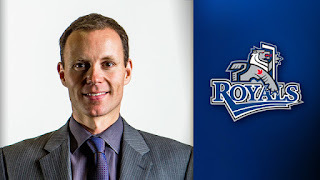 The Victoria Royals introduced Dan Price as their new head coach on Monday. Price, 42, takes over from Dave Lowry, who left after five seasons as head coach to join the NHL’s Los Angeles Kings as an assistant coach. The Royals also announced that Doug Bodger, a former NHL and WHL defenceman (Kamloops, 1982-84), has been hired a a full-time assistant coach. Bodger was a part-time assistant last season. Dan Price, the new head coach of the Victoria Royals. previous two seasons with the U of Toronto Varsity Blues, first as the assistant coach and then as assistant coach/manager of athletic recruitment. In Victoria, Price replaced Enio Sacilotto, who moved from assistant coach of director of prospect development and WHL scout. Before joining the Royals, Price had previous WHL experience as he had spent two seasons (2012-14) as an assistant coach with the Tri-City Americans and and three with the Chilliwack Bruins (2006-09). The Bruins, of course, morphed into the Royals over the summer of 2011. Price also scouted for the Regina Pats (2003-06). Last season, Price spent three games as the Royals’ head coach, going 0-2-1 as Lowry sat out after being diagnosed with the mumps. As a player, Price, a goaltender, spent three seasons at the U of Regina (1995-98). He moved on to the U of Saskatchewan, where he graduated in 2001 with a law degree. The Royals’ announcement leaves the Calgary Hitmen as the only one of the WHL’s 22 teams without a head coach. The Everett Silvertips have hired Dennis Williams to replace Kevin Constantine; the Kootenay Ice brought in James Patrick in place of Luke Pierce; the Spokane Chiefs signed Dan Lambert to take over from Don Nachbaur; and, of course, the Royals now have Price in place. The Hitmen are looking for a replacement for Mark French, who has signed with a pro team in Switzerland after three seasons in Calgary. 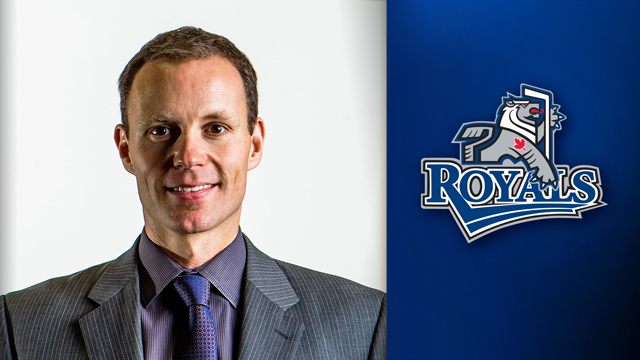 The Victoria Royals also announced on Monday that Ryan Guenter has been promoted to head scout. He had been the senior regional scout for Alberta. From Lethbridge, he has been part of Victoria’s organization since 2009-10. Guenter is presently writing his thesis as he works to a masters in sport psychology with a focus on talent identification at the U of Alberta. He already has a bachelor of arts, psychology degree and business management, human resources degree from the U of Lethbridge. The Royals also announced that they have extended their two senior regional scouts — Garry Pochipinski (East) and Ed Fowler (West). The Kamloops Blazers have signed F Josh Pillar, their first-round selection in the WHL’s 2017 bantam draft. Pillar, from Warman, Sask., was taken with the 14th overall pick. Pillar played last season with the bantam AA Sask Valley Vipers, putting up 18 goals and 36 assists in 25 games. In 2017-18, he is expected to play for the midget AAA Prince Albert Mintos. Pillar spent last weekend in Kamloops at the Blazers’ prospects camp. . . . The Blazers haven’t yet signed F Massimo Rizzo, their first-round pick, also 14th overall, in the 2016 bantam draft. Management hopes to meet with Rizzo and his family later this month. Rizzo finished this season with the BCHL’s Penticton Vees. Keith McCambridge, a former WHL defenceman, is the new head coach of the Hartford Wolf Pack, the AHL affiliate of the NHL’s New York Rangers. He replaces Ken Gernander, who was fired in May after 10 seasons as head coach. . . . McCambridge, 43, joined the Wolf Pack as an assistant coach on Aug. 3, 2016. He had spent the previous five seasons (2011-16) as the head coach of the Winnipeg Jets’ AHL affiliate, first the St. John’s IceCaps and then the Manitoba Moose. . . . From Thompson, Man., McCambridge played four seasons in the WHL (1991-95), three plus with the Swift Current Broncos and the last 21 games with the Kamloops Blazers. He helped the Blazers win the 1995 Memorial Cup. F Alex Mowbray, who played out his junior eligibility last season with the Spokane Chiefs, will attend York U and play for the Lions next season. From Calgary, Mowbray played three seasons with the Medicine Hat Tigers and one with the Chiefs. In 212 regular-season games, he had 49 points, including 26 goals.